On January 4, 2017, Governor Snyder signed into law Public Act 471 of 2016, with an effective date of April 5, 2017. The approved legislative changes enhance Michigan’s Brownfield Redevelopment Financing Act, Public Act 381 of 1996. 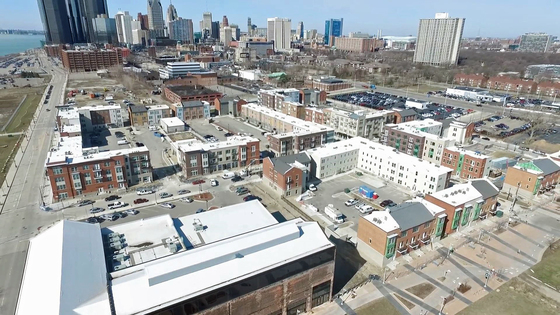 The changes enacted are the result of over two years of collaborative work between the Michigan Department of Environmental Quality (MDEQ), Michigan Economic Development Corporation (MEDC), and Brownfield stakeholders across the State. The updated legislation can be found at http://www.legislature.mi.gov. MDEQ and MEDC staff have updated applicable materials to reflect the recent legislative changes. Please note that the previous Act 381 Guidance is updated to capture the changes in statute and to provide policy guidance for projects seeking State Brownfield support. The guidance will help to facilitate consistent, accurate, efficient and timely completion of a project’s approval process where the capture of State school taxes is desired. In addition to the updated Act 381 Guidance, instructions and templates have been updated and a Tax Increment Finance (TIF) table template for tax increment capture/reimbursement has been added. Effective immediately, the TIF table template will be the required format for use when seeking State school support. The MEDC and MDEQ Brownfield Program staff will evaluate Michigan Strategic Fund (MSF) and MDEQ eligible activities for each particular project, taking into consideration the facts and circumstances of a site, under the authority of applicable laws, regulations, and established policy. Brownfield Redevelopment Authorities are required by law to report on Brownfield Tax Increment Financing projects via an online reporting portal maintained by the MEDC. Reporting is due annually to the MEDC no later than August 31 for the previous calendar year. Please note that jurisdictions are required to report both “local only” and State school tax capture. If your jurisdiction has no tax increment revenue to report, the Authority is still responsible for completing all appropriate information in the portal in order to be compliant with Act 381.